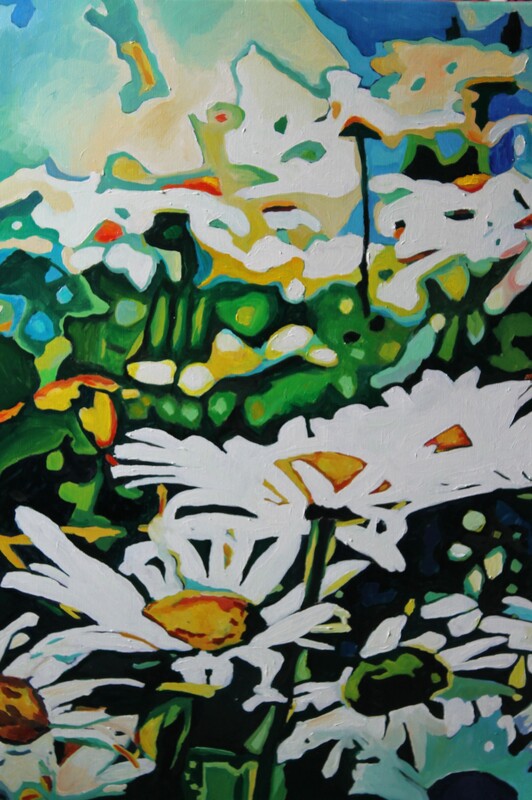 A “refractionist” interpretation of the distant sunlight spilling, bleaching, corroding through a growth of wild oxeye daisies, which were growing by the side of the road near Ilston Chapel in Gower peninsula. The near oxeye daises dance in celebration of the sunlight and the far grasp at the sunlight sky. It is an image in formation, an expressive impression. Nothing is crystalline, just blobs of iridescent colour generated into being, out of the cool dark blue to the brillant white, by the summer light.